Have you ever heard of Fossil Falls? I hadn't either, until a few weeks ago. 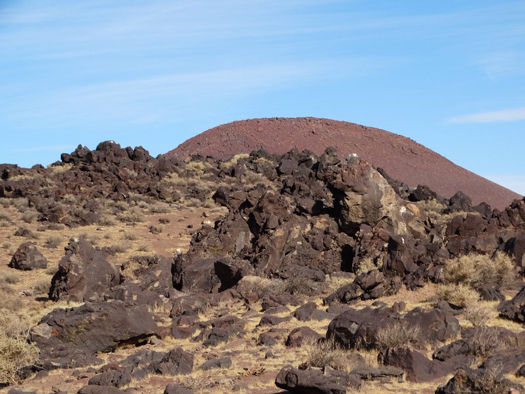 Fossil Falls is located in Olancho, California, in the Coso Range. It is a place of alien landscapes that amazes the senses. It is free to enter the park and you are able to climb all over the lava structures. My boyfriend and I were there on a Monday morning, so we had the place to ourselves. The drive is approximately 4 hours from San Diego, but there are campsites available and hotels/motels available in the nearby town of Ridgecrest. 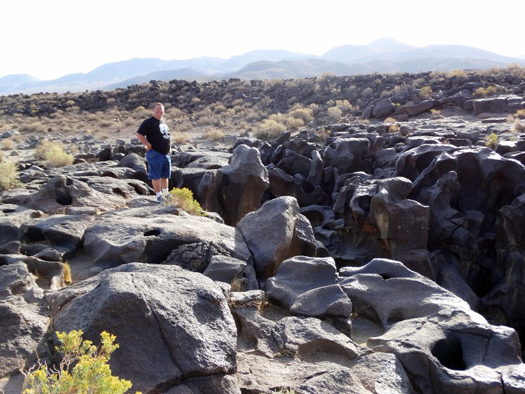 The rugged and primitive landscape of Fossil Falls is the product of volcanic activity. 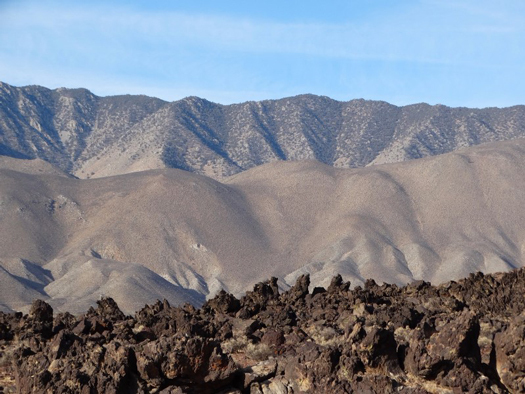 As recent as 20,000 years ago, lava from the local volcanic eruptions poured into the Owens River channel. 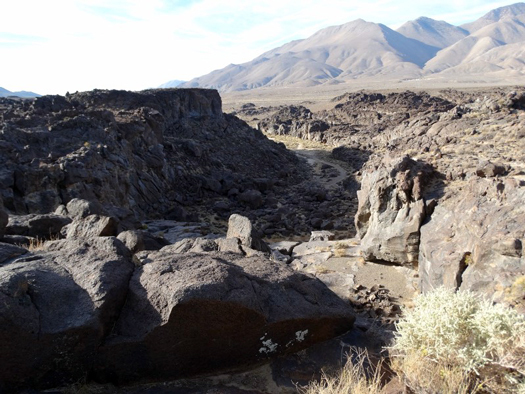 The erosional forces of the Owens River acted upon this volcanic rock, forming the polished and sculptured features you can see at Fossil Falls. There is a large red cinder cone at the entrance to the park. It is the result of the violent eruption of trapped gasses and molten materials into the air from a vent in the Earth's crust. 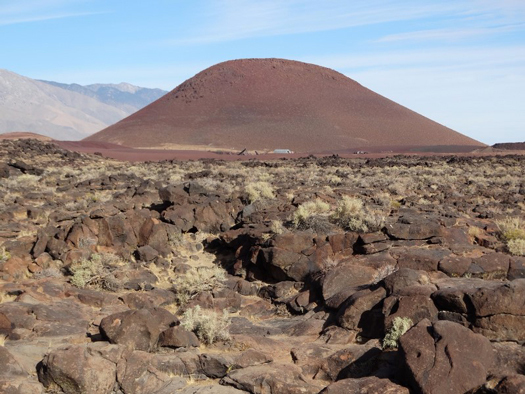 When exposed to the air, it cools quickly, forming a porous rock known as scoria, which built up around the original vent, forming a cone-shaped hill. Many people think that Fossil Falls means there is a waterfall. This is not so. There was most likely one thousands of years ago, but it is a feature of lava, that resembles a waterfall and "spills" into an amazing canyon. I was amazed at the scenery. Even as we drove towards Fossil Falls, it becomes very apparent you are entering a volcanic area. 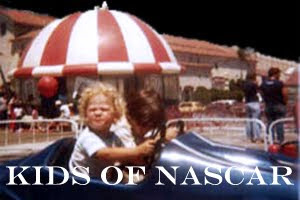 As an adult, I found the landscape thrilling and exciting. 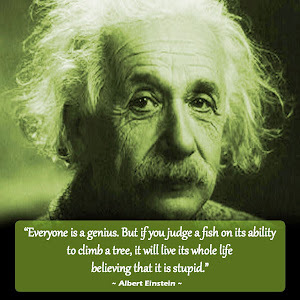 I can only imagine what kids would think. As with all hiking, camping areas, bring plenty of water and some energy snacks. Also, hiking boots are recommended. The trail was fairly easy (as a disabled person, I was able to manage it without too much trouble and with help from my boyfriend), but if you plan to stay for a while and want to hike into the canyon, make sure you are well equipped to do so. 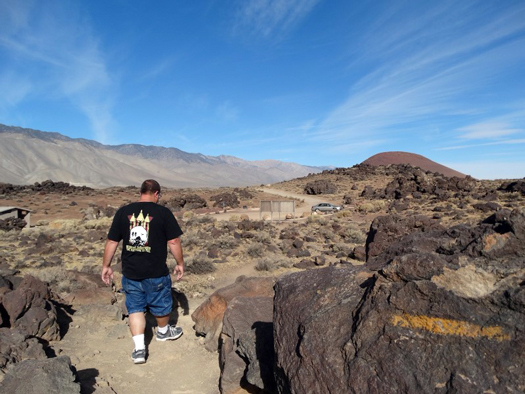 (You may want to go to the Fossil Falls website or touch base with a ranger to find out what you will need if you plan to hike into the canyon). 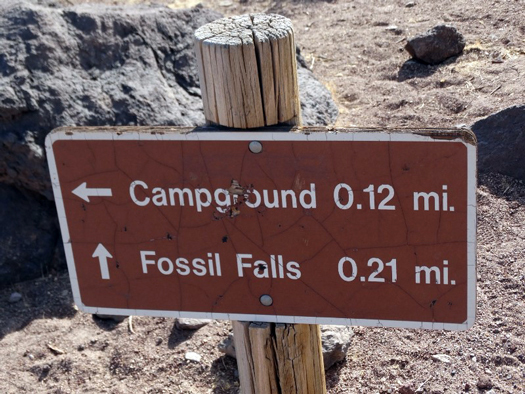 There are campgrounds in the Fossil Falls area, but we did not stop there. There is a nice parking area with bathrooms as well as benches and BBQ areas for a picnic. It is well worth a trip there. 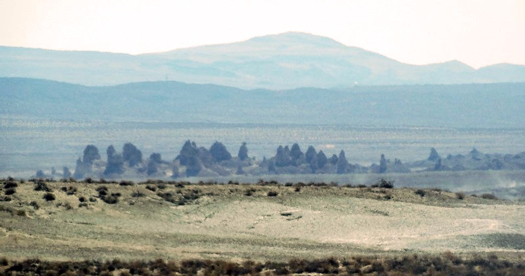 Also in the area are the Trona Pinnacles, located in Trona, California. We did not go into the park (as the road is unpaved and we were not sure about our vehicle), but I was able to get a few pictures from the road. The Pinnacles average 140 feet in height. The area has over 500 tufa (calcium carbonate) pinnacles rising from the bed of the Searles Dry Lake Basin. These tufa spires were formed 10,000 to 100,000 years ago, underwater. There were declared a National Landmark in 1968. (Just an FYI: Trona is population of about 18. There is nothing in the small mining town as far as hotels. There is one restaurant, which I would definitely NOT recommend). 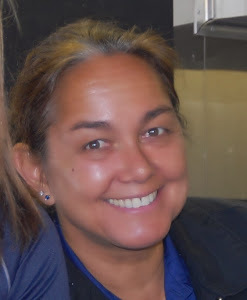 The nearest town is Ridgecrest, about 30 minutes away. We definitely plan to return to explore these areas more fully.